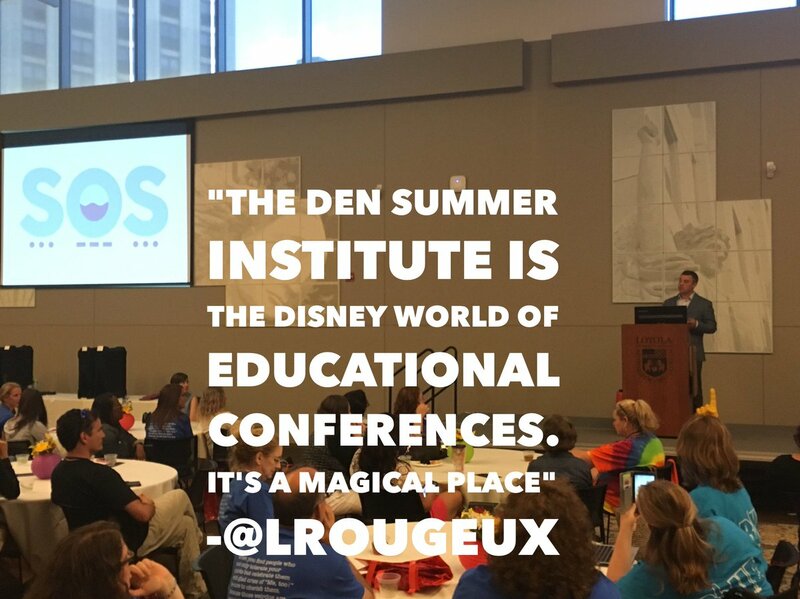 This past week was Discovery Education‘s annual summer institute affectionately known as DENSI. 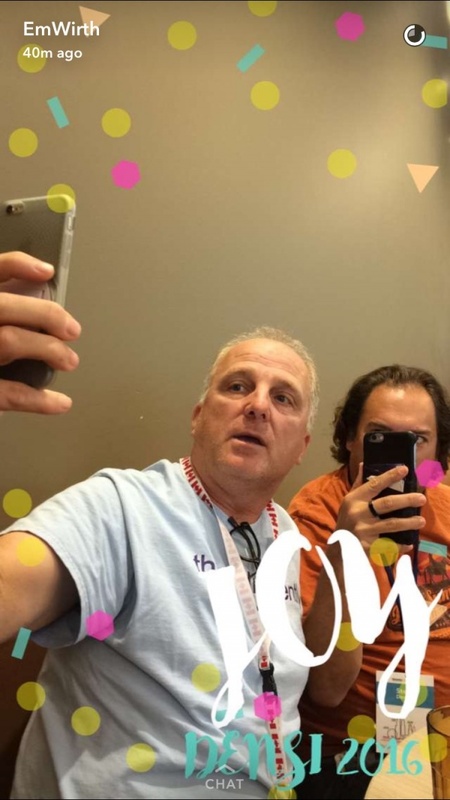 150 educators from all over the world spend 5 days together at what really can’t be described as a conference or professional development. It’s something different. The affection I feel for the people I just spent the last number of days with is hard to articulate. Just watching people learn and play and laugh is intoxicating. It’s particularly amazing to see folks from other countries cross-cultural barriers to simply connect as educators and humans. The theme for this year’s event was joy. In education words like “joy” and “love” are often reluctantly used. We have historically left those ideas for other institutions to manage. 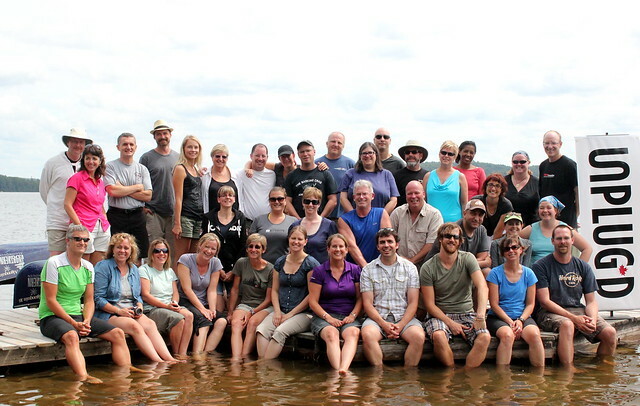 Learning can happen without them but when you include them, the idea of “community” takes on a whole new meaning and learning goes to another level. In May I was fortunate to be able to speak at TEDxWestVanEd. Some outstanding talks that I’d encourage you to peruse for yourself. If you’ve never been to a TEDx event, I highly recommend. Knowing how long it takes to craft a 15 minute talk, you know folks are giving you the good stuff. It’s probably pretty apparent if you follow my work at all you’ll see that a theme of joy is emerging. It was the unplugged event in 2011 that clarified this for me. 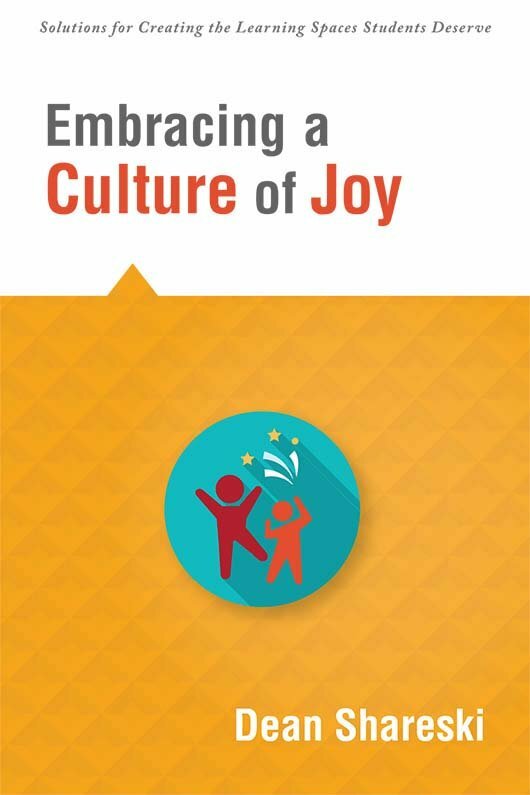 It’s a message that definitely resonates with many educators who devote so much of their lives to helping children, only to be told in subtle and not so subtle ways that joy is only important if tied to achievement. Baloney. Also thanks to the great support of folks that came out that day. I always feel a lot of love from the great crew from Surrey who did an obligatory jumping photo with me. Two places I spend a lot of time in are schools and airplanes. What I’ve noticed after the time spent in these places is that cultures are pretty easy to identify. In Canada, the two major airlines, Air Canada and Westjet have very distinct cultures. I mostly fly Air Canada for a number of reasons and must say I’ve had very good experiences. However, if you ask most Canadians about these two airlines, the general belief is that Westjet offers the better customer service. Air Canada is the more formal, serves the business traveller and Westjet has a more inclusive approach that’s focused on a great customer experience sprinkled with fun. Look through their Youtube channel to see what I mean. Air Canada does have a channel too but with a very different focus. There’s nothing quite like watching someone’s passion and dream being fulfilled. Last month I got to see it in front of my eyes. ears. During my time at Unplugd, I got to meet and know Stephen Hurley. Stephen is an arts consultant in Ontario and all around interesting, good guy. Stephen and I were in the same grouping as we did our collaborative writing. Stephen began by sharing this story. A month ago, I participated in a unique and powerful event called Unplugd. I’ve posted bits about it and will likely refer to it often in the future as it offered some outstanding experiences that have a direct impact on how we learn and how we do school. The product we created was a book on What Matters Now. We’re releasing each chapter a week at a time in order to give people a chance to digest the content. The first three chapters have already been released. The essays are quite compelling along with the video stories. This week, the chapter I was involved in developing is now available. The process of writing these essays is a powerful story of collaboration, feedback and assessment for learning. I’ll share more about that in the future but I will tell you it was a great model for collaboration. For now, here’s my small contribution entitled Why Joy Matters.